Ken Kramer grew up in the 1950s and 1960s in Houston. As a child he spent a lot of time on Galveston, an island about 50 miles away in the Gulf of Mexico. Kramer experienced Hurricane Carla in 1961 with gusts of 175 mph and a storm surge of 22 feet. It destroyed 120 buildings on Galveston, though the eye was 120 miles away. He also studied the 1900 storm that devastated the island. The Great Hurricane of Galveston is still the worst humanitarian, natural disaster in U.S. history. Somewhere between 8,000 and 12,000 people were killed. That’s why Kramer, who was statewide executive director of the Texas chapter of the Sierra Club for 23 years, was first alarmed in 2003 when he learned that the U.S. federal government chose Galveston as the site for a national biocontainment laboratory. On the site would be a Bio-safety Level 4 lab, the highest grade of precaution taken to work with agents, such as anthrax, ebola and SARs, which can be transmitted through the air and cause fatal diseases in humans for which there are no known cures. The national laboratory’s primary mission would be to develop vaccines against a perceived threat of terrorists deploying biological weapons in the wake of 9/11. Galveston was one of two such post-9/11 labs built. The other is in Boston. 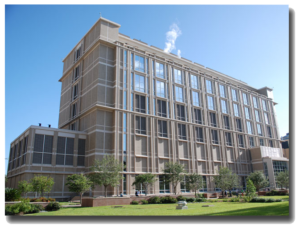 Two months before the Galveston National Laboratory (GNL) was to open on the campus of the University of Texas Medical Branch (UTMB), the island took a direct hit from Hurricane Ike on Sept. 13, 2008. The GNL’s website says the lab can withstand a Category 5 storm and 140 mph winds, though Category 5 storms on the Saffir–Simpson wind scale begin at 157 mph. Though Ike flooded most of Galveston and damaged university back-up generators, the Category 2 storm packed only 100 mph winds, which the lab buildings withstood. That did not soothe Kramer, however. That more powerful storm hit Texas nine years later, on Aug. 25. It was the first big test for the lab. 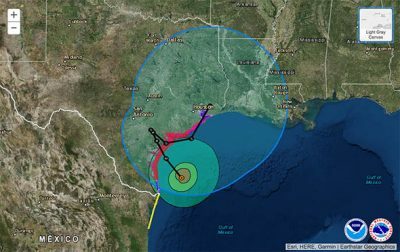 Though Hurricane Harvey’s eye struck 200 miles away from Galveston in Rockport, Texas, it was a massive storm that stretched nearly the entire coastline from Mexico to Louisiana. It packed 130 mph winds as it hit the Texas coast, just 10 mph below GNL’s threshold. Amid apocalyptic scenes of flooding in Houston, reporters from both Fox and CNN said they could not reach Galveston. Little news was coming from the island, and not a word about the lab. I interviewed Prof. Francis Boyle, who wrote the U.S. implementing legislation for the Biological Warfare Convention. He expressed concern for a power failure that could disrupt the containment system. Two weeks after the storm, Kramer, the former Sierra Club official, spoke out again about the lab. He told me he had lost none of his concerns before and after Harvey hit. Kramer said this time luck was on the lab’s side. Harvey packed 130 mph winds as it hit the Texas coast. This is just 10 mph below GNL’s threshold, had it struck Galveston instead. Some of those details were offered by James LeDuc, the lab’s director, in written responses to me eight days after I submitted questions on Aug. 31. LeDuc is a 23-year career Army officer in the medical research and development command. He’s been based at the Walter Reed Army Institute of Research and the U.S. Army Medical Research Institute of Infectious Diseases, as well as in Central and South America. He was the Influenza Coordinator at Centers for Disease Control and Prevention (CDC) in Atlanta, and in the 1990s worked for the World Health Organization. Whether the lab continues or shuts down its work as a hurricane approaches was a matter of confusion as LeDuc and the university P.R. officials made contradictory statements. The P.R. office said on Aug. 31 that work had continued “uninterrupted” throughout the storm, while LeDuc told the Galveston Daily News the same day that lab work had been halted as the storm drew near. “Our statement that the facility continued operations without interruptions refers to the fact that the laboratory never lost power, there was never a breach in biocontainment, there were armed guards at their duty stations within the GNL throughout the storm, and there was a dedicated stay team of building engineers and operations staff on site within the GNL throughout the storm. Thus, all safety and security operations continued without interruption,” he said. Though some work is scaled down or ended in hurricane season, the microbes are still “stored in freezers on site,” according to the university’s communications director. That storage depends on a continual flow of electricity and the structural integrity of the building, which could be at risk in winds exceeding 140 mph. LeDuc told me the labs never lost electric power and that the back-up generators are not located on the roof, as the 2008 New York Times story indicated. “They are located above the flood plane, 26 feet up, and equivalent to the second floor of our building,” he said, Two diesel fueled generators there are tested weekly and reserve fuel tanks are “full at all times” and can last for “several days,” he said. After Hurricane Ike the tanks could be refueled within 24 to 48 hours after the storm passed. Indeed, as reassuring as are the measures LeDuc outlined, there is irrefutable evidence that climate change is intensifying hurricanes. Michael Mann, a professor of atmospheric science at Pennsylvania State University, wrote in the Guardian in Britain that climate change had made Harvey more dangerous. 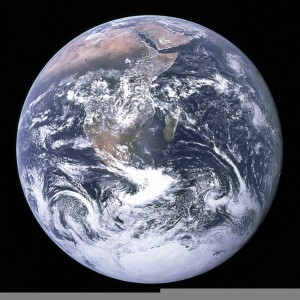 He cited a combination of sea level rise, increased ocean temperatures and moisture in the air, as well as deeper levels of warm water in the Gulf of Mexico. Hurricane Irma at one point packed 185 mph winds, making it the strongest storm ever recorded in the Atlantic. Had it not turned north after squeezing through the straits between Florida and Cuba it could have headed into the Gulf on a straight line towards the Texas coast, around about Galveston. Irma’s wind speeds reduced as it approached land, but Hurricane Marie hit Puerto Rico at 150 mph. The Galveston lab is built to withstand 140 mph winds. LeDuc could not deny the impact of climate change. Another worry is that Galveston island is literally sinking. As a barrier island, it is made of sand and seashells built up by centuries of ocean waves 6,000 years ago. Its highest point is only 20 feet. “Barrier islands like Galveston are particularly vulnerable to storm damage because they are made of sand, as opposed to the hard bedrock that underlies larger islands and the mainland,” the site said. The Galveston lab is secured with 120-foot pilings dug deep into — sand. Val Marmillion, managing director of America’s Wetland Foundation, told the paper erosion and loss of protective wetlands could shrink Galveston by a third within 30 years. “Vials of bio-terror bacteria have gone missing. Lab mice infected with deadly viruses have escaped, and wild rodents have been found making nests with research waste. Cattle infected in a university’s vaccine experiments were repeatedly sent to slaughter and their meat sold for human consumption. Gear meant to protect lab workers from lethal viruses such as Ebola and bird flu has failed, repeatedly. “A USA TODAY Network investigation reveals that hundreds of lab mistakes, safety violations and near-miss incidents have occurred in biological laboratories coast to coast in recent years, putting scientists, their colleagues and sometimes even the public at risk. “Oversight of biological research labs is fragmented, often secretive and largely self-policing, the investigation found. And even when research facilities commit the most egregious safety or security breaches — as more than 100 labs have — federal regulators keep their names secret. “Of particular concern are mishaps occurring at institutions working with the world’s most dangerous pathogens in biosafety level 3 and 4 labs — the two highest levels of containment that have proliferated since the 9/11 terror attacks in 2001. Yet there is no publicly available list of these labs, and the scope of their research and safety records are largely unknown to most state health departments charged with responding to disease outbreaks. Even the federal government doesn’t know where they all are, the Government Accountability Office has warned for years. The investigation showed that there are biocontainment labs in all 50 states, including in Manhattan and the District of Columbia. A year earlier, the Houston Chronicle reported that there are no federal guidelines for such labs and no regulatory agency. In 2013, the Galveston lab lost a vial of a potential bioterror agent and believes it was destroyed. The incident had to be reported to the Centers for Disease Control and Prevention in Atlanta. LeDuc told me in the phone interview that the Galveston lab follows National Institute of Health guidelines. He said federal inspectors last visited the lab in July and stayed eight days. The USA Today investigation also raised the troubling issue of “gain of function” manipulation of microbes, that is, the purposeful fortifying of the viruses by some biocontainment labs. “At a few labs, experiments have been done with strains of flu and other viruses purposely made to be more dangerous in studies that seek to understand how they might mutate naturally. White House science advisers called for a temporary halt of that kind of ‘gain of function’ research last fall while expert scientific panels spend the next year studying its risks and benefits,” the paper reported. Le Duc told me in the phone interview that there is no gain of function work done in Galveston although it has been restarted at other labs. He also said no classified research is conducted at the GNL and none of the scientists working there need security clearances. The excellent reporting by USA Today and the Chronicle are exceptions when it comes to media scrutiny of biocontainment labs. This became clear in the case of Galveston. The lab made no statement at all about its condition after Harvey hit for five days and only after my first story was published. LeDuc’s first answers came eight days after that and only after my follow-up story. Given the legitimate concerns about the lab’s location, perhaps a proactive, rather than a reactive response to the public, is warranted. 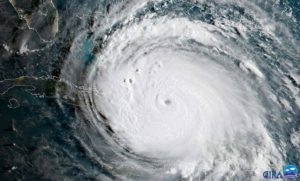 In contrast to Galveston, two nuclear power plants in South Florida took a proactive approach, declaring themselves ready in advance of Hurricane Irma in mid-September. Kramer believes the lab’s lack of transparency may be part of a culture of secrecy that’s emerged from 9/11. The lab’s primary work is bio-defense. LeDuc, however, defended the lab’s reactive public relations strategy. “I am satisfied with the way we handled communications with the public,” he said. When I pressed him on whether the lab should have been more proactive, he said he communicated with government agencies, rather than with the public. He’d spoken with the Department of Homeland Security, the White House’s Office of Science and Technology Policy and with the Health and Human Services’ assistant secretary for preparedness. “They all asked how we were doing and we assured everybody that we were fine,” he said. He assured everybody but the public, that is. “We are part of the UTMB campus and the campus was fully operational through the storm and our communications guys were answering the phones,” he said. “I think our strategies, our activities were appropriate,” he said, as reactive as they were. He did admit the lab’s website needed improvement and would be upgraded. When authorities are not forthcoming, it has traditionally been the role of the press to hold them to account. But in this instance we have had a textbook case of how corporate control of the media can neuter journalism. Since the lab tried not to draw attention to itself as Hurricane Harvey approached, and issued no statements until days after it struck, it was the press’ job to report the story. This was a significant moment for the lab: the first major hurricane since it opened its doors in November 2008 amid legitimate public concerns. When Hurricane Matthew threatened NASA’s Kennedy Space Station on Cape Canaveral in 2016, there were a slew of stories raising concern before the storm. Afterward, there were stories that the Cape had dodged a bullet with only minimal damage. In other words, “all’s well” at the space station. Before Hurricane Irma hit Florida in mid-September there were again stories about potential danger to Cape Canaveral. Though the Cape escaped danger both times, the coverage was warranted. Had there been significant damage to an evacuated space station it would have cost the U.S. taxpayer, and perhaps the U.S. some prestige. 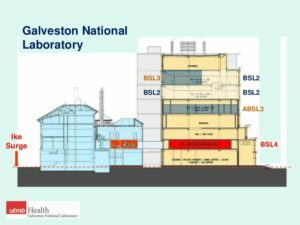 But it would not have threatened lives, as significant damage could at the Galveston lab. The existence of a controversial lab in the backyard of a small paper like the Galveston Daily News in another era would have been a hot story that its editors would have zoomed in on. But that was an era of journalism when defending the community against powerful and often unaccountable institutions was an editorial priority. Today, too many journalists, driven by careerism, identify with the powerful people they cover, rather than with the interests of their readers. The bigger the stake the journalist has or aspires to have in the corporate system the more she or he will defend it. Self-interest, not public interest, becomes the motivating factor. A careerist does not rock the boat. A journalist who doesn’t rock the boat has no business being a journalist. The Galveston Daily News wrote nothing about the lab until six days later when it ran a hit piece against me titled, “Rumor Central.” But it went further. Both the local and national media worked with the university’s communications office to silence the story. It is an illustration of who is winning the long-running battle between public relations and the press. My editor refused to retract the article and asked for a follow-up story. Of the three places the article was published, only The Huffington Post caved to the pressure. An editor there broke a newsroom rule by pulling the story without first contacting the writer. She simply informed me after the fact, with the reasons that LeDuc made a statement (only in reaction to my piece), that the lab was safe, and that no other news organization had the story. I told her the reason no one else had the story was because it was exclusive. I’ve had colleagues over the years tell me the same thing: their editors rejected stories because the rest of the media herd didn’t have it. My appeals to The Huffington Post to restore the article because it contained no factual errors, no libel and no plagiarism were met with no response. It had a knock-on effect. Esquire magazine had linked to my Huffington Post article in a story about environmental hazards in Texas during the storm. Ferguson, ostensibly a reporter, did the lab’s work by complaining to Esquire about my piece. The magazine gave in when they saw The Huffington Post retraction and published a clarification, thanking Ferguson by name and promising to do a better job in the future. I contacted the Esquire writer, Charles Pierce, explaining that neither Consortiumnews, nor the Johannesburg Star and the other South African papers had retracted. The Huffington Post was the odd one out. I told him he’d been right the first time to link to my piece and asked that the clarification be removed. Pierce totally ignored me, uninterested in the damage his mistaken clarification had done. The Oregonian also published a piece about the retracted article, quoting the Huffington Post editor who nixed my story. “Galveston lab that houses deadly airborne viruses not in danger from flood; HuffPost pulls fear-raising story,” was the headline. In naming me in the article, the reporter, Douglas Perry, broke two of the most basic rules of journalism: one, there are two sides to a story, and two, if you name someone in an article, especially negatively, you need to try to contact that person for comment. The reporter did neither. He also falsely reported that my quotes from Boyle had come from 2008, when they came from a current interview, giving the false impression that the concerns were old. Indeed, as Kramer said, despite the belated reassurances of LeDuc about the precautions taken, the placement of the lab without federal oversight on an endangered barrier island remains questionable, especially as storms of greater than 140 mph winds are more possible than ever in this dire age of climate change. Joe Lauria is a veteran foreign-affairs journalist. He has written for the Boston Globe, the Sunday Times of London and the Wall Street Journal among other newspapers. He is the author of “How I Lost By Hillary Clinton” published by OR Books. He can be reached at [email protected] and followed on Twitter at @unjoe.